428. 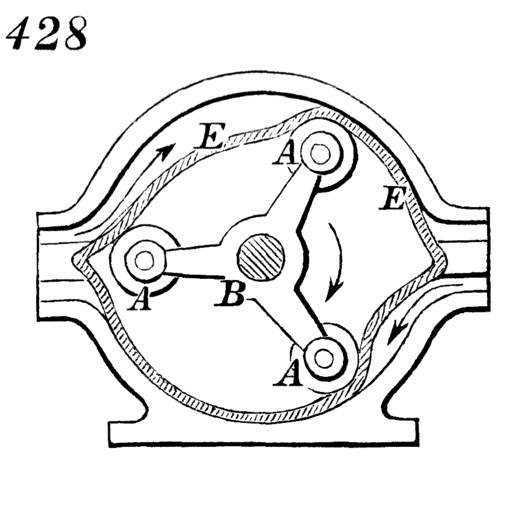 The india-rubber rotary engine in which the cylinder has a flexible lining, E, of india-rubber, and rollers, A, A, are substituted for pistons, said rollers being attached to arms radiating from the main shaft, B. The steam acting between the india-rubber and the surrounding rigid portion of the cylinder presses the india-rubber against the rollers, and causes them to revolve around the cylinder and turn the shaft.